Update: Paraworld Zero hit the top-50 BarnesAndNoble.com bestseller list! The audiobook is 12 hours and 30 minutes long and contains over 100 character voices. Order the full MP3 audiobook right now and we'll give you $20 to $28.95 off! 1. Add the Basic Audiobook MP3-CD or Premium Audiobook MP3-DVD to your cart. 2. Enter this coupon when you check out: sample08 for a $10 discount. 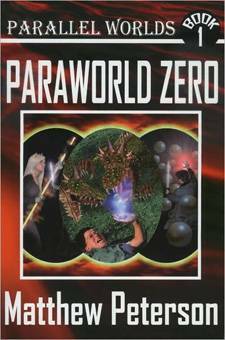 Additional Bonus: Get a $28.95 discount on the Trade Paperback / Audiobook Combo of Paraworld Zero! Promotion may end at any time, so please act now. 1. Add the Audiobook MP3-CD Combo or Premium Audiobook MP3-DVD Combo to your cart. 2. Enter this coupon when you check out: samplecombo08 for a $14.95 discount. Note: One coupon per order. Promotion only applicable for sales from paraworlds.com. Please spread the word about Paraworld Zero! Buy a copy for your kids, students, neighbor, grandchildren, book club, dog, etc. Thanks! 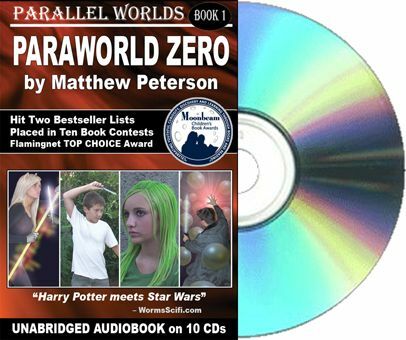 Matthew Peterson and his book, Paraworld Zero, was featured on NBC (channel 12 KPNX in Phoenix, AZ) and on The Artist's Craft (channel 10 in Raleigh, NC). Matthew was also a guest blogger and featured author on several websites including ShoutLife.com, FreshFiction.com, and NarniaFans.com. In 2008, a news article centered on Matthew Peterson's book, Paraworld Zero, life and writing was published by 75 to 100 newspapers with an estimated readership to be in the millions. An email was also sent to over five million opt-in scifi/fantasy readers. Click Here to see our $150,000 marketing plans. Includes ads in The New York Times, Publishers Weekly, The Bloomsbury Review, etc.